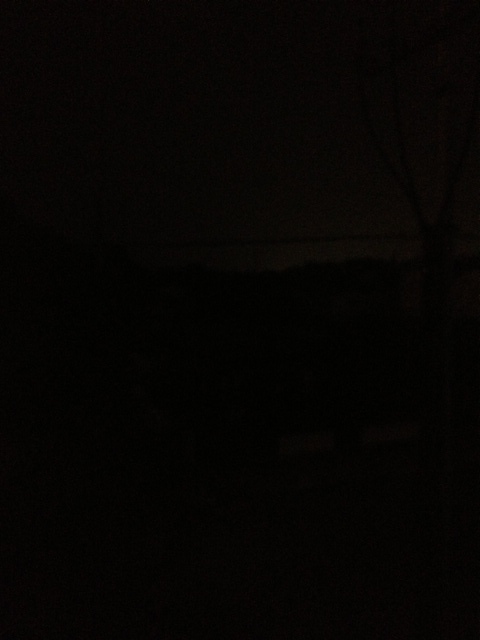 The actual view from my window during one of the three night blackouts of last week. Since the official annoucement of the “electrical war” last Thursday by Acting-(Like-a)-President Nicolás Maduro, things didn’t improve this weekend – to the point that some parts of Acarigua were in the dark last Sunday night when Mr. Maduro was in town. On Saturday, another major grid failure left several Southwestern states without electricity for a while. The government insists in bringing the “S” word into the conversation. Freddy Medrano, head of Zulia’s electric workers union strongly rejects such claims and puts the blame in lack of safety measures to do their work, and in the large debts of CORPOELEC on their salaries and insurance payments. But the reasons behind the recent spikes in electrical failures are also related to the lack of enough power to satisfy increasing demand, forcing CORPOELEC to implement rationing. In an phone interview with Barquisimeto’s main newspaper El Impulso, engineer and consultant Jose Aguilar explained that the dry season is putting pressure on Guri Dam, while other thermo-electrical plants face a shortage of fuel after the Amuay explosion. In particular, Aguilar points out how electricity for Lara State is now being sent to other states instead. This special ratioting plan has been named by CORPOELEC “Charge Administration Plan,” and it has been in place since early 2013. However, that didn’t stop protests in Merida or even Portuguesa, where they reached the Governor’s house. But looks like the priority for CORPOELEC at least this week won’t be fixing grid failures, but getting votes for Maduro. The company even held its own political event in Caracas. UPDATE: According to this report from El Nacional, the National Dispatch Center (the coordination entity of the Electricity Ministry) recognized in a meeting held last week at the Vice-President’s office that there’s not enough generation to satisfy the demand and the crisis would continue all this year. They proposed to increase the rationing plan. Next articleWill the fiscally responsible candidate please stand up?